The present study examined the roles of parental alcohol use and parental style as predictors of adolescent patterns of drug use. 6391 students in the 7th and 8th grades at 72 Brazilian public schools participated in a three-wave randomized controlled trial to evaluate a school drug-use prevention program. 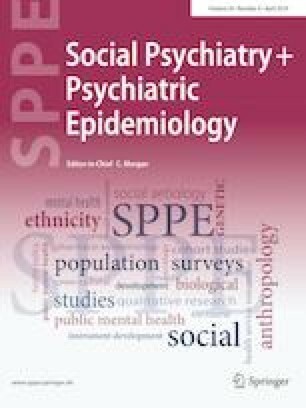 Patterns of drug use were identified through two latent class analyses using measures of the adolescents’ past-year drug use. Multinomial logistic regression analyses examined whether parental alcohol use and parenting style at baseline predicted patterns of drug use in waves 2 and 3 of the study after controlling for sociodemographic covariates. In each of the two waves, three latent classes of drug use were identified among the students, defining three different groups of individuals: (1) abstainers/low users, (2) alcohol users/binge drinkers, and (3) polydrug users. First, parenting style (especially monitoring) was the strongest predictor for the prevention of polydrug use among adolescents. Second, occasional alcohol use by parents can act as a central predictor for adolescent alcohol use and binge drinking. Above all, maternal episodes of drunkenness were involved in the predictive models for both drug use classes in both waves. Parental alcohol use and parenting style seem to be important predictors of adolescent’s likelihood of belonging to different latent classes of drug use. This conclusion may point to the importance of considering the inclusion of parenting skills and parental alcohol use within the scope of adolescents’ preventive interventions. We acknowledge Brazilian Health Ministry and UNODC Brazil (United Nations Office on Drugs and Crime) for initiative to implement this prevention program and support this research This study was funded by the Brazilian Ministry of Health through the TED 89-2014 (PI: Dr. Sanchez) and Fundação de Amparo à Pesquisa do Estado de São Paulo (FAPESP) through the grant number 2016/11971-5 (M.S. Juliana Y Valente). Special thanks are due to the Brazilian schools for their continuing collaborative efforts and teachers, students and parents who were involved in the study. All procedures in the present study were in accordance with the ethical standards of the institutional and/or national research committee and with the 1964 Helsinki Declaration and its later amendments or comparable ethical standards. This study was approved by the Ethics in Research Committees at the University of São Paulo (#473.498) and the Federal University of Santa Catarina (#711.377).